Lather, rinse, eat, repeat. Wait. What? That’s right, instead of heading to the local chemist for your daily beauty products, why not just take a look in the pantry? Brimming with pure goodness and heaps of therapeutic benefit, whole food ingredients such as cinnamon, honey, and apple cider vinegar can do your skin, teeth and hair wonders. As well as saving your bank and guaranteeing a cruelty-free routine, using a product on your face that’s safe enough to eat is an epic reassurance in a world full of harsh chemicals. Over the next couple of weeks in this series, I’m going to be showing you some all natural and tasty foods that you will soon cherish when it comes to nurturing your external health. I’m sure you’ll have heard of some of these before, but each ingredient holds its own unique properties, can be used in a variety of ways and is most likely sitting in your cupboard right now. Knowledge is power, and being able to know exactly what you are putting onto your body and why it works, is important; especially when our government makes no effort to regulate what goes into most beauty products on the shelf. COCONUTS! They are becoming increasingly popular in our kitchen and beauty culture today - probably because they’re abundantly rich of health benefits, but also because Pina Colada’s and just the general dream of a beach vacation (let’s be real, that’s what gets us all through the day). But seriously, this fruit has remarkable rewards, and its oil is one of the most versatile ingredients when it comes to using it for your body. In the kitchen, coconut oil is often used as an alternative to other cooking oils and is perfect for baking cakes or other snacks. In warmer climates, the oil will stay in its liquid form but here in the cold city of Melbourne, it will generally remain a solid, white and waxy substance until heated. Extracted from the meat of mature coconuts, the oil is sold at most supermarkets, cold-pressed and unrefined, for around $5 - $10 a jar. The number one benefit this oil holds is its moisturising factor. It literally melts into your skin, hydrating deeply into your pores and reducing dryness. Whether you use it on your face, legs or cracked feet, your skin will be soothed and left feeling softer than ever. It’s anti-bacterial and anti-fungal properties make it effective for reducing inflammation and breakouts too! As it is quite heavy in texture, when using it on your face remember to apply it lightly so your skin can breathe - If you have sensitive skin like me, I recommend washing it off your face after use. It also works perfectly in the summer months, for sunburn and peeling - creating a glowing look, smelling great and offering some minor sun protection (SPF 4). 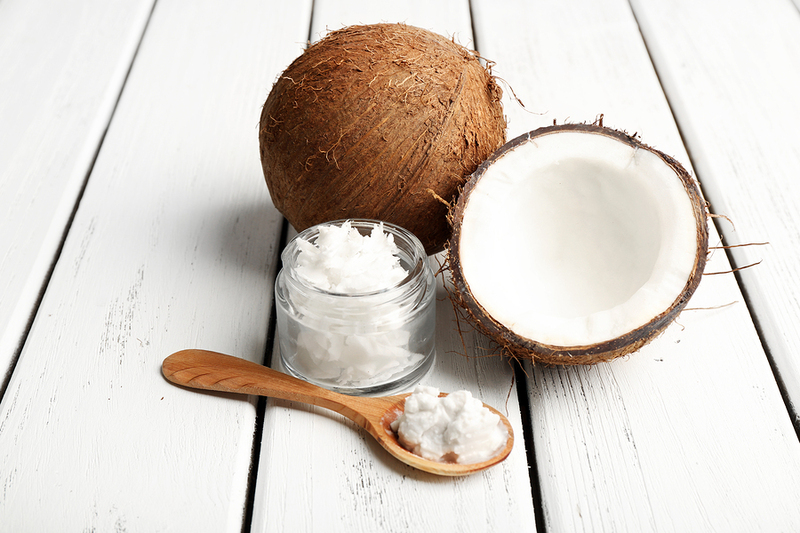 Coconut oil can also be used as a hair treatment and many on the market already have it on their ingredient’s list. When combed through your hair and left overnight, the oil works to deeply condition your locks and promote repair so that moisture can be retained. Full of vitamins and essential fatty acids it helps to not only nourish a dry scalp but protect it from sun damage. However, as this is an oil, after it’s done its part of transforming your hair, you’ll have to do yours - by shampooing it out (maybe even twice). It also has differing results depending on hair type, so always start off with a very small amount to begin with. Less is often more! But if you find it works for you, look forward to a having a strong, shiny mane. The way I use coconut oil every day is as a makeup remover. I promise you after trying this you will never need to spend money on makeup wipes again. By massaging an almond-size amount onto your skin, any makeup you had on dissolves in seconds. Even waterproof mascara won’t be able to hold on, just rub it through your eyelashes (making sure you don’t get it in your eyes) and it will come straight off. Wash your face with warm water afterwards to remove any residue and it will leave your skin completely cleansed and feeling supple. Now here’s something you might not have heard of before - oil pulling. Originating in India more than 3,000 years ago, this medicinal practise is meant to among other things - improve oral health and whiten your teeth. Although many of its alleged healing benefits have yet to be proven, studies show that its effects of detoxifying the mouth are actually accurate. The practise works by swishing an oil (in this case coconut) around your mouth and gums for anywhere between 5 - 20 minutes. By doing so, it draws out impurities and destroys any oil-soluble toxins that’ve stayed in your mouth despite brushing your teeth. It sounds pretty disgusting, but I’ve tried this numerous times and saw my teeth were clearly brighter afterwards. Of course, the trouble is standing in the bathroom for 20 minutes trying not to swallow, so I’ve often done this while in the shower or watching tv. This is a very cheap and natural way to whiten your teeth at home but make sure you spit it out and brush afterwards, DO NOT SWALLOW IT! There’s just something so uniquely beautiful about being able to nourish your body with a gift given straight from the earth, a sort of simplistic purity. That here in 2017 - when we think we know it all - humanity’s original ‘beauty routine’ still shines through thousands of years to make our faces glow and our earth grow. Coconut oil is an ingredient that is far superior to that of a chemical one, it’s benefits are richer than many other beauty products you could buy for triple the price. As it is a carrier oil, you can add a few drops of almost any essential oil to create your own blend and it’sslow oxidization process means it’ll last anywhere from one to two years before going bad. There’s not much that can go wrong with a jar of this goodness!